Why don’t we just do exactly what we feel like doing when we feel like doing it? This is a question that you might hear from kids, and it perfectly encapsulates what they “just don’t get” about adults. As adults, we pretty much have free reign to do whatever we want, whenever we want. We won’t get arrested for not showing up to work (for the vast majority of jobs, anyway! ), and no one will haul us off to jail for eating cake for breakfast. So why do we show up for work? Why don’t we eat cake for breakfast? Perhaps the better question is, how do we keep ourselves from shirking work when we don’t want to go? How do we refrain from eating cake for breakfast and eating healthy, less delicious food instead? The answer is self-regulation. It’s a vital skill, but it’s also something we generally do without thinking much about. If you want to learn more about self-regulation, how we make the decisions we make, and why we are more susceptible to temptation at times, then you’ve come to the right place! What is the Meaning of Self-Regulation? Self-regulation is “control [of oneself] by oneself” (2016). It can refer to self-control by a wide range of organisms and organizations, but for our purposes, we’ll focus on the psychological concept of self-regulation. “[S]omeone who has good emotional self-regulation has the ability to keep their emotions in check. They can resist impulsive behaviors that might worsen their situation, and they can cheer themselves up when they’re feeling down. They have a flexible range of emotional and behavioral responses that are well matched to the demands of their environment” (2016). Behavioral self-regulation is “the ability to act in your long-term best interest, consistent with your deepest values” (Stosny, 2011). It is what allows us to feel one way but act another. If you have ever dreaded getting up and going to work in the morning, but you remembered your goals (e.g., a raise, a promotion) or your basic needs (e.g., food, shelter) and got up and out the door all the same—you displayed effective behavioral self-regulation. On the other hand, emotional self-regulation involves control of—or at least influence over—your emotions. If you had ever talked yourself out of a bad mood or calmed yourself down when you were angry, you were displaying effective emotional self-regulation. Self-Regulation Theory (SRT) simply outlines the process and components involved when we decide what to think, feel, say, and do. It is particularly salient in the context of making a “good” choice when we actually have a strong desire to do the opposite (e.g., refraining from eating an entire pizza just because it tastes good). These four components interact to determine our self-regulatory activity at any given moment. According to SRT, our behavior is determined by our personal standards of good behavior, our motivation to meet those standards, the degree to which we are consciously aware of our circumstances and our actions, and the extent of our willpower to resist temptations and choose the “right” path. Bandura also notes that self-efficacy plays a huge role in this process, as it exerts its influence on our thoughts, feelings, motivation, and action. A quick thought experiment shows how significant a factor self-efficacy is; imagine two people who are highly motivated to lose weight. They are both actively monitoring their food intake and their exercise, and they have specific, measurable goals that they have set for themselves. One of them has high self-efficacy and believes he can lose weight if he puts in the effort to do so. The other has low self-efficacy and feels that there’s no way he can hold to his prescribed weight loss plan. Who do you think will be better able to say no to second helpings and decadent desserts? Which of them do you think will be more successful in getting up early to exercise each morning? We can say with reasonable certainty that the man with higher self-efficacy is likely to be more effective, even if they start with the exact same standards, motivation, monitoring, and willpower. Barry Zimmerman, another big name in the SRT literature, put forth his own theory founded on self-regulation: Self-Regulated Learning (SRL) theory. Self-regulated learning refers to the process a student engages in when she takes responsibility for her own learning and applies herself to academic success (Zimmerman, 2002). In the planning phase, students have an opportunity to work on their self-assessment and learn how to pick the best strategies for success. In the monitoring phase, students get experience implementing the strategies they chose and making real-time adjustments to their plans as needed. In the reflection phase, students put everything they have learned together and reflect on their experience, learning what works for them, and what should be altered or replaced with a new strategy. It can be useful to consider the self-regulatory model to better understand SRT. While the model below is specific to health and illness-related self-regulation, it is still a good representation of the complex processes at work during self-regulation of any kind. If words like “stimuli” and “emotional representations” throw you off, perhaps an example of the model in action will help. Let’s use Bob as our example. Bob was just diagnosed with diabetes and is facing his new reality: checking his blood sugar, changing up his diet, and potentially LOTS of needles. The diagnosis is Bob’s stimulus. Bob attempts to make sense of his diagnosis. He talks to his doctor, recalls a friend’s experience with diabetes, thinks about a character’s struggle with diabetes in his favorite TV show, and tries to remember what he learned about diabetes in his college health classes. All of this information feeds into his cognitive representation of his diagnosis. It’s not all objective thoughts though; Bob also feels a little shocked about getting this diagnosis since he hadn’t even considered that he had diabetes. He is worried about how long he’ll be around for his kids and anxious about how much his life will change. He’s also scared about what will happen if his life doesn’t change. These feelings make up his emotional representation of his diagnosis. Once Bob has a semi-firm grasp of his thoughts and feelings about the diagnosis, he makes some decisions about what comes next. Through discussion with his doctor, he decides on a new, healthier diet and also commits to taking more frequent walks. However, he also finds that it’s easy to put his diagnosis out of his mind when he’s not having an episode or being directly affected by it. These decisions and actions are his coping responses. Bob implements these responses for a few days, then reflects on how he’s been doing. He realizes that, although he is eating marginally healthier and he’s taken a short walk each day, he has mostly refrained from thinking about his diagnosis at all. Bob reminds himself that if he keeps ignoring his diabetes, he will eventually get sick and may even suffer significant, long-term consequences. This is his evaluation of his representations and coping methods. Bob commits to facing his diabetes head-on instead of denying or ignoring it and resolves to work on keeping the potential consequences of not staying healthy in mind. He also resolves to fully embrace the diet he and his doctor planned out and start going to the gym three times a week. Bob is using his evaluation of his representations, coping responses, and outcomes to assess how well his actions align with his desired future: a happy and healthy Bob who is around to see his kids grow up; this is the feedback loop. This short example is a good representation of what self-regulation looks like; it is essentially monitoring your own thoughts, feelings, and behaviors and comparing the outcomes against your goals, then deciding to maintain your current attitudes and behaviors or deciding to adjust them so you can more effectively meet your goals. As noted earlier, you could argue that ALL forms of therapy are centered on self-regulation—they all aim to help a client reach a level of equilibrium in which they are able to effectively regulate their own emotions and behavior (and sometimes thought patterns, in the case of therapies like cognitive behavioral therapy and mindfulness-based cognitive therapy). However, there is also a form of therapy that is designed around self-regulation theory and grounded in its principles. Self-Regulation Therapy draws from findings in neuroscience and biology to help clients reduce “excess activation in the nervous system” (Canadian Foundation for Trauma Research & Education, n.d.). This excess activation (i.e., an off-balance or inappropriate “fight or flight [or freeze]” response) can be triggered by a traumatic event or any other event in life that is significant or overwhelming, throwing a monkey wrench into the normal self-regulation process. SRT aims to help the client correct this problem, building new pathways in the brain to allow for more flexibility and more appropriate emotional and behavioral responses. The ultimate goal is to turn that emotional and/or behavioral dysregulation into effective self-regulation. If you think that self-regulation and self-control have an awful lot in common, you’re right! They are similar concepts and deal with some of the same processes; however, they are two distinct constructs. Viewed in this light, we can think about self-regulation as a more automatic and subconscious process—unless the individual determines to purposefully monitor and alter their self-regulation—while self-control is a set of much more active and purposeful decisions and behaviors. An important SRT concept to understand is that of self-regulatory depletion, also called ego depletion. This is a state in which an individual’s willpower and control over their self-regulation processes have been used up, and their energy earmarked for inhibiting impulses is expended. It often results in poor decision-making and performance (Baumeister, 2014). This is a key idea in SRT; it explains why we struggle to avoid engaging in “bad behavior” when we are tempted by it over a long period of time. For example, it explains why many dieters can keep to their strict diet all day but give in after dinner when tempted by dessert. It also explains why a married, or otherwise committed person, can rebuff an advance from someone who is not their partner for days or weeks but eventually give in and engage in an affair. Recent findings in neuroscience back this idea of self-regulatory depletion; a study from 2013 (Wagner et al.) used functional neuroimaging to show that those who had depleted their self-regulatory energy experienced less connectivity between the regions of the brain involved in self-control and those involved in rewards. In other words, their brains were less accommodating in helping them resist temptation after sustained self-regulatory activity. 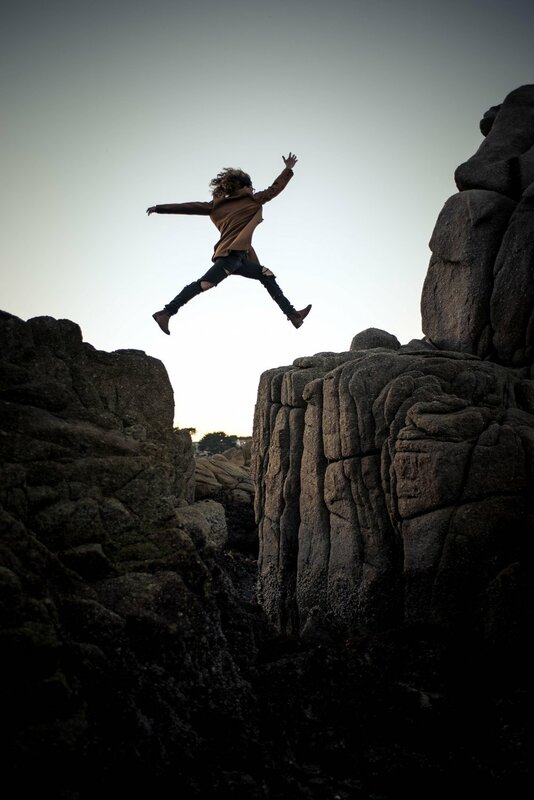 Although self-regulatory depletion is a difficult hurdle, SRT does not imply that it is impossible to remain in control of your urges and behavior when your energy is depleted. It merely states that it becomes harder and harder as your energy level decreases. However, there are many examples of successful self-regulatory behavior, even when the individual is fatigued from constant self-regulation. As you can see, self-regulation covers a wide range of behaviors from the minute-to-minute decisions we make to the larger, more significant decisions that can have a big impact on whether we meet our goals or not. Another outcome of effective self-regulation may not be as immediately obvious, but you’ll see why this concept is so vital to the outcome in a moment. Let’s take a closer look at enhancing and maintaining a healthy sense of well-being. Overall, there is tons of evidence to suggest that those who successfully display self-regulation in their everyday behavior enjoy greater well-being. Researchers Skowron, Holmes, and Sabatelli (2003) found that greater self-regulation was positively associated with well-being for both men and women. Findings are the same for young people as well; a study from 2016 showed that adolescents who regularly engage in self-regulatory behavior report greater well-being than their peers, including enhanced life satisfaction, perceived social support, and positive affect (i.e., good feelings). On the other hand, those who suppressed their feelings instead of addressing them head-on experienced lower well-being, including greater loneliness, more negative affect (i.e., bad feelings), and worse psychological health overall (Verzeletti, Zammuner, Galli, Agnoli, & Duregger, 2016). To get more specific, one of the ways in which self-regulation contributes to well-being is through emotional intelligence. “the ability to perceive emotions, to access and generate emotions so as to assist thought, to understand emotions and emotional knowledge, and to reflectively regulate emotions so as to promote emotional and intellectual growth” (Mayer & Salovey, 1997). Self-regulation, or the extent of an individual’s ability to influence or control their own emotions and impulses, is a vital piece of emotional intelligence, and it’s easy to see why; can you imagine someone with high self-awareness, intrinsic motivation, empathy, and social skills who inexplicably has little to no control over their own impulses and is driven by emotion without inhibition? There’s something off about that picture because self-regulation is an integral part of emotional intelligence. And, as researchers Di Fabio and Kenny (2016) found, emotional intelligence is strongly related to well-being. The better able we are to understand and address our own emotions and the emotions of others, the better able we are to make sense of our environment, adjust to it, and pursue our goals. On the subject of pursuing our goals, self-regulation is also clearly entwined with motivation. As you might recall from earlier in this piece, motivation is one of the core components of self-regulation; it is one factor that determines how well we are able to regulate our emotions and behaviors. An individual’s level of motivation to succeed in his endeavors is directly related to his performance. If he has the best of intentions, well-laid plans, and extraordinary willpower, he will still likely fail if he is not motivated to regulate his behavior and avoid the temptation to slack off or set his goals aside for another day. The more motivated we are to achieve our goals, the greater our ability to strive toward them. This impacts our well-being by filling us with a sense of purpose, competence, and self-esteem, especially when we are able to meet our goals. As you might have guessed, self-regulation is also an important topic for those struggling with Attention-Deficit Hyperactivity Disorder (ADHD) or Autism Spectrum Disorders (ASD). Similarly, difficulty with emotional self-regulation is part and parcel of ASD. Those on the autism spectrum often have trouble identifying their emotions, and if they are able to identify their emotions, they generally have trouble modulating or regulating their emotions. ASD-difficulty is well-understood as a common symptom, but effective methods for improving self-regulation in ASD is unfortunately not as well-known or implemented as one might wish. Helping your child learn to more effectively self-regulate will ultimately benefit you, your child, and everyone he or she interacts with, and improve his or her overall well-being. Self-regulation and mindfulness are two peas in a pod when it comes to contributing to well-being. As we learned earlier, self-regulation requires self-awareness and monitoring of one’s own emotional state and responses to stimuli. Being conscious of your own thoughts, feelings, and behavior is the foundation of self-regulation; without it, there is no ability to reflect or choose a different path. Teaching mindfulness is one great way to both improve the ability to self-regulate and enhance overall well-being. Mindfulness can be defined as the conscious effort to maintain a moment-to-moment awareness of what’s going on, both inside your head and around you. Mindfulness encourages active awareness of one’s own thoughts and feelings and promotes conscious decisions about how to behave over simply going along with whatever your feelings tell you. There is good evidence that mindfulness is an effective tool for teaching self-regulation; researchers Razza, Bergen-Cico, and Raymond (2015) recently published a study on the effects of a mindfulness-based yoga intervention on preschool children. Mindfulness is an excellent way to build certain attention skills, which are part of a larger set of vital skills that allow us to plan, focus, remember important things, and multitask effectively (or semi-effectively, at least). These skills are not inherent from birth but are rather learned and built upon over time. They are vital skills for navigating the complex world we live in and contribute to making good choices. When we are able to successfully navigate our world and make good choices, we set ourselves up to meet our goals and enjoy greater well-being. If you’re interested in learning more about this scale or using it in your own work, click here (note: this link triggers the download of a PDF that includes information about the scale, references, and the scale itself). To see the script for this interactive assessment, click here. To learn more about this assessment or to inquire about using it for your research, click here. As we noted earlier, the development of self-regulation begins very early on. As soon as children are able to access working memory, exhibit mental flexibility, and control their behavior, you can get started helping them develop their self-regulation. If that captures your thought process, fear not! We have some tips and suggestions to get you started. You can also use games and activities to help young children build their self-regulation skills. Check out the resources listed below for some fun and creative ideas for kindergarten and preschool children. We titled these the “Classic Games” because they are popular, well-known games that you are probably already familiar with. Luckily, they can also be used to help your child develop self-regulation! Color Moves – Explain to the children that they will walk around the room. They are to move based on the color of the paper you are holding up. Green paper means walk fast, yellow paper means regular pace, and blue paper means slow-motion walking. Whenever you hold up a red paper, they stop. Try different locomotor skills like running in place, marching, jumping, etc. This list from The Inspired Treehouse also includes some good suggestions for other games you can play to calm an emotional or overwhelmed child while you’re out and about. You can find the list here. This leads to an important point: children reach another important stage in their self-regulation development when they begin attending school—and especially as school gets more challenging. If you’re a teacher who is interested in implementing more techniques and strategies for encouraging self-regulation in your classroom, consider the resources and methods outlined below. The self-regulation lesson plans from the College & Career Competency Framework detail nine separate lessons you can use to help your students continue to develop their skills. The lessons range from about 20 to 40 minutes each and can be modified or adapted as needed. Click here to download this handy PDF for your own use. This resource includes all the information you need to build effective strategies into your curriculum. Finally, for a treasure trove of lesson plans, activities, and readings you can implement in your classroom, click here. For each lesson, you can access the lesson plan and student activity (or activities) via Word and the student reading via PDF. Use these lessons to help your students boost their self-regulation skill development and adapt or modify them as needed. Although much attention is paid to self-regulation in children and adolescents, as this is when those skills are developing, it’s also important to keep self-regulation in mind for adults as well. For example, as you can imagine, self-regulation is extremely important in the workplace as well as in the classroom. Self-regulation is what keeps you from yelling at your boss when he’s getting on your nerves, slapping a coworker who threw you under the bus, or more benign but still socially unacceptable behaviors like falling asleep at your desk or stealing someone’s lunch out of the fridge. Those with high self-regulation skills are better able to navigate the workplace, which means they are better equipped to obtain and keep jobs and generally outperform their less-regulated peers. I know—those are very general tips! But it’s true that living a generally healthy life is key to reducing your stress, allowing you to keep your energy reserves maintained for self-regulation. For more specific tips on building your self-regulation skills, read on! There are many tips and tricks you can use as self-regulated learners to enhance your self-regulation skills. If you want to give it a shot, read through these techniques and pick one that resonates with you—then put it to good use! Cultivating the skill of mindfulness will improve your ability to maintain your moment-to-moment awareness, which in turn helps you delay gratification and manage your emotions. Mindfulness has proven to be very effective in boosting conscious control over your attention, helping you regulate your negative emotions, and improving your executive functioning (Cundic, 2018). This strategy can be described as a conscious effort to change your thought patterns. This is one of the main goals of the cognitive-based therapies (e.g., CBT, MBCT). To build your cognitive reappraisal skills, you will need to work on changing and reframing your thoughts when you encounter a difficult situation. Adopting a more adaptive perspective to your situation will help you find the silver lining and help you manage emotion regulation and keep negative emotions at bay (Cundic, 2018). Cognitive self-regulation has been found to be positively correlated with social functioning as well. It involves the cognitive abilities we use to integrate different learning processes that will also help us support all our personal goals. 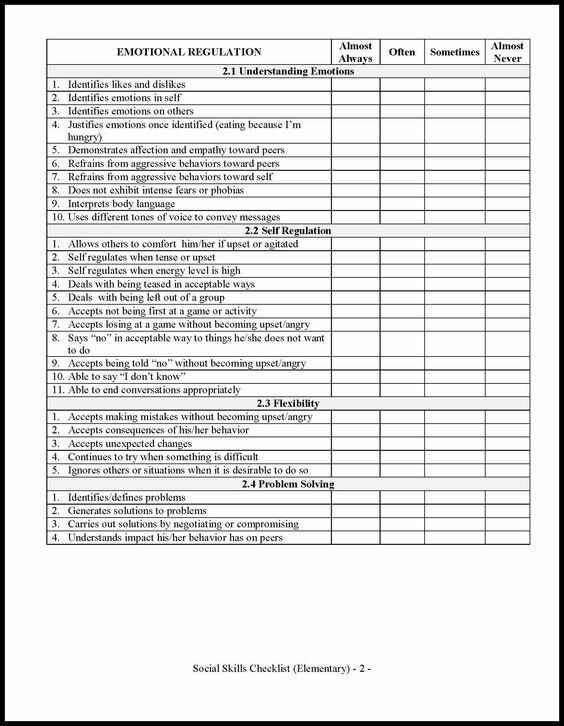 This handy table from Jan Johnson at Learning in Action Technologies lists 23 positive strategies we use to self-regulate, both alone and in relationships. They are categorized into two groups: “Positive or Neutral” and “Negative or Neutral.” Check out some examples in each column and think about where your most frequently-used self-regulating learning strategies fall on the chart. Self-expression: art, music, dance, writing, etc. To see the rest of these strategies, click here (clicking the link will trigger a download of the PDF). If you’re a teacher, parent, or adult who works with children, this section offers some great resources for helping you and/or the children in your care develop greater self-regulation. This worksheet is a handy tool for teachers to implement in the classroom. It can be used to help students assess their level of self-regulation and find areas for improvement. You can see this worksheet here. This handout can be useful for both adults and older children and teens. It describes some of the main strategies and skills you can implement to keep your emotions under control. This entry on the list is really a bonus—it includes several worksheets and handouts you can use as a teacher, parent, or therapist with the children in your care. It also includes helpful worksheets for teachers to complete in order to enhance their ability to help students develop better self-regulation skills. Click here to download this useful PDF. If you’re still hungry for more information on self-regulation, there are tons of resources available on the subject. Check out the sources listed below. Aside from the worksheets and handouts noted earlier, there are two other handy tools to use with kids: the self-regulation chart and the self-regulation checklist. You can find the self-regulation chart and checklist at this link. Another type of chart that can help students with their self-regulation development is the behavioral self-regulation chart. Now that we’re familiar with self-regulation, it’s easy to see the processes at work here. Completing this chart will encourage your child or student to monitor their feelings and behavior, identify the consequences, evaluate their response, and come up with modifications or brand-new strategies to try out next time. Click here to find a sample of this chart. A good self-regulation checklist will help your child or student assess their self-monitoring and keep their goal of self-regulation in mind. Was I paying attention to my assigned work? Was I following the classroom rules? For each school day, the students should evaluate their performance. At the end of the week, have them add up the “Yes” responses and compare it to their goal. This will get them in the habit of monitoring and assessing their own performance and reflect on their performance. If you spend any time poking around the self-regulation literature or talking to others about it, you’re bound to run into mentions of The Zones of Regulation. “…systematic, cognitive behavioral approach used to teach self-regulation by categorizing all the different ways we feel and states of alertness we experience into four concrete colored zones” (Kuypers, n.d.). This book describes the Zones of Regulation curriculum, including lessons and activities you can use in the classroom, in your therapy office, or at home. In addition, you will learn how to apply the Zones model to help your children, students, or clients build their emotional regulation skills. You can learn more about this book here. For a more academic-minded look at self-regulation, you might want to give this handbook a try. This edited volume from researchers Kathleen D. Vohs and Roy F. Baumeister offers a comprehensive look at the theory of self-regulation, the research behind it, and how it can be applied to improve quality of life for all. It also covers how self-regulation is developed and shaped by experiences, and how it both influences and is influenced by social relationships. Chapters on self-dysregulation (e.g., addiction, overeating, compulsive spending, ADHD) explore what happens when self-regulation skills are not developed to an adequate level. If you’re a student, researcher, academic, a helping professional, or an aspiring helping professional, you won’t regret investing your time and energy into reading this book and familiarizing yourself with this important topic. Click here to see the book on Amazon. I hope you’ve enjoyed our journey through the theories, findings, and significance of self-regulation! It’s truly an important topic for everyone to consider, although parents and educators may find it to be even more vital than others. The skills involved in self-regulation are necessary for achieving success in life and reaching our most important goals, as well as having a big impact on our overall well-being. What do you think of self-regulation theory? Does it make sense to you? What are your strategies for boosting your own self-regulation? What about your strategies for building it in children? Let us know in the comments section below or continue reading this piece on positive mindset. WE LOVE THIS ARTICLE and the self-regulation philosophy and method. We stand by our commitment to inspire and support you to have personal responsibility for your health, wellness and happiness. We offer a unique, integrative, therapeutic approach that takes in to account the WHOLE PERSON, and we listen to your needs, connecting you to resources and groups from around Edmonton and the health care community to help you develop a self-regulation plan that you love and appreciate. Anxiety, fear and grief: what experts are learning about the mental health effects of wildfire haze. As it turns out, there’s little disagreement when it comes to wildfire smoke: it’s alarming. Residents of the western provinces have been choking on smoke in recent weeks, as smoke from the more than 550 wildfires burning in B.C. drifts around the country. Special air quality alerts have been issued in Vancouver, Victoria, Prince George, Salmon Arm, Edmonton, Calgary, Regina, the Battlefords and even Manitoba — and the list goes on. Air quality alerts are issued to warn residents about the dangers of fine particulate matter present in wildfire smoke, which can cause numerous health effects including everything from sinus irritation to heart attacks. But it’s not just breathing difficulties and watery eyes that impact people living in smoke-affected areas. For many, it’s the unsettling feeling of living under a thick cloak of smoke, one that obscures the sun, wipes out the blue sky and hides the landscape in a disconcerting brown-grey veil. Little research has been done to quantify the psychological effects of widespread and persistent wildfire smoke, though researchers have found ties to feelings of hopelessness, irritability, depression, fear, isolation, change of sleep patterns and lethargy. The research is scarce, in part because prolonged and widespread smoke is “a relatively new phenomenon in North America,” according to Dr. Sarah Henderson, senior environmental health scientist at the B.C. Centre for Disease Control. Increasingly though, experts are concerned about the mental health effects of our new reality: weeks of seemingly unending smoke wafting across the western provinces each summer. When widespread smoke moves into a community, residents are often advised to stay indoors and close their windows, or to spend more time indoors with air conditioning. The study found that this leads to significantly less time spent outside, or socializing. When smoke persists, closing your windows is no longer enough for many people. If a person doesn’t have an air filtration system, indoor air quality can eventually mirror the dangerous air quality outside. First Nations participants reported an inability to take part in traditional activities, from hunting and fishing to berry harvesting. Other residents noted they were unable to work in their gardens, ride their bikes or take their kids outside to play. Dr. Courtney Howard, board president of the Canadian Association of Physicians for the Environment, was also a researcher on the Yellowknife study. She recalls the dangers of isolation and inactivity due to wildfire smoke. This feeling of isolation and inactivity has resonated for many people this summer, too. Smoke has already forced people to re-evaluate their summer plans, from community events to outdoor activities. In Edmonton, events at the annual marathon were postponed due to poor air quality. Flights were halted from parts of B.C.’s interior. Kamloops cancelled an annual celebration that typically draws 10,000 people, triathlons were cancelled in Penticton and Kelowna, and in Calgary, the annual Ride to Conquer Cancer was cancelled halfway through, with 1,900 cyclists picked up just a few hours into the event. There’s something larger at play for many people when they wake up to dim, smoky skies. Dodd points to the concept of solastalgia to explain the gloom people feel when the smoke rolls in — and sticks around for weeks or months. “Once we published [the article] we were inundated with people from all over the world saying ‘this is exactly how I feel but I never had a word for it,’ ” she told The Narwhal. For many people, Cunsolo said, there is a close connection between people, place and identity. When the landscape changes — even if the change is temporary, like with wildfire smoke — people may begin to feel a sense of alienation. “Land connection is so much a part of who people are, that when it’s disrupted through things like climate-induced wildfires, or loss of sea ice or severe storms that are increasing then people’s sense of identity shifts with that sense of place,” she said. For many people, widespread wildfire smoke is off-putting to say the least. For others, there’s a sense of foreboding. As wildfire smoke continues to blanket much of the West, Cunsolo is adamant that the feeling of ecological grief can also be a force for good. “People use grief to come together, to support each other and to protest,” she said. “It becomes this really resistant form of mourning where you take it public and it mobilizes you. Not surprisingly, stress can have damaging effects on depression. That is, “stress hormones like cortisol can exacerbate the effects of an existing depression. Or if we’re not currently depressed, we can become more vulnerable to a future episode,” said Lee Coleman, Ph.D, a clinical psychologist and assistant director and director of training at the California Institute of Technology’s student counseling center. But this doesn’t mean that your situation is hopeless. It isn’t. In fact, there are many things you can do. Below, Coleman and other therapists who specialize in depression shared five ways to effectively navigate the stress in your life. 1. Assess every piece of your life. 2. Make tiny healthy shifts. When you’re struggling with depression, it might be tough to make big decisions and take big steps. Instead set small, specific and feasible goals, said Smith, who practices in Erie, Colo.
She shared these examples: Spend 10 minutes outside every day; make an appointment with a psychologist this week; reach out to one friend or relative today; take a walk four days out of seven; and do one thing you enjoy each day. Taking small steps also provides momentum for making bigger changes in the future, she said. But if you don’t meet your goals, be gentle with yourself. Depending on the severity of your depression, it might be tough to take action (or get out of bed). That’s when working with a psychologist who specializes in treating depression is critical. “Depression and stress thrive on wandering minds, especially on questions that don’t really have an easy answer, like, ‘Why is this happening?’ ‘When will I feel like myself again?’” said Coleman, author of Depression: A Guide for the Newly Diagnosed. Getting caught up in these questions releases stress hormones such as cortisol, and leads to feeling sadder, he said. One way to redirect your attention is to focus on what you’re doing right now. For instance, give your full attention to mundane tasks and activities, such as walking, picking out produce and even breathing, Coleman said. Mindfulness (and exercise) “can be extremely helpful in relieving symptoms and creating the endorphins your brain needs to feel better,” said Robin Starkey Harpster, MA, MFT, a psychotherapist in Los Angeles. In addition to Coleman’s mindfulness suggestions, it can help to listen to guided meditations. Harpster recommended trying these three apps: buddhify; Headspace; and Calm. 5. Make a radical change. I don’t mean putting a few less to-do items on your list. I’m talking about radical lifestyle changes — like changing jobs in order to work in a less toxic and stressful environment, moving into a smaller home so that you don’t have to moonlight, deciding against adopting a rescue dog or having a third child. It can be practically impossible to keep your mood resilient if you are under chronic stress because it increases the connection between the hippocampus part of your brain and the amygdala (worry central), impairs your memory retention, affects your cortisol production (making it difficult for you to handle more stress), and weakens your immune system. One of the most powerful tools for shrinking stress is treating yourself with patience and compassion. “You’re dealing with an illness that’s going to take some time to work through. And you can’t rush it by criticizing yourself or setting arbitrary deadlines for meeting certain goals,” Coleman said. Plus, what you’re able to accomplish really depends on the severity of your depression. Don’t hesitate to seek professional support from a psychologist. And be flexible with yourself and remember that the smallest steps do add up, Coleman said. This article originally appeared on psychcentral.com and was written by By Margarita Tartakovsky, M.S. It’s hard not to get worked up emotionally when you’re in a tense conversation. After all, a disagreement can feel like a threat. You’re afraid you’re going to have to give up something — your point of view, the way you’re used to doing something, the notion that you’re right, or maybe even power – and your body therefore ramps up for a fight by triggering the sympathetic nervous system. This is a natural response, but the problem is that our bodies and minds aren’t particularly good at discerning between the threats presented by not getting your way on the project plan and, say, being chased down by a bear. Your heart rate and breathing rate spike, your muscles tighten, the blood in your body moves away from your organs, and you’re likely to feel uncomfortable. None of this puts you in the right frame of mind to resolve a conflict. If your body goes into “fight or flight” mode or what Dan Goleman called “amygdala hijack,” you may lose access to the prefrontal cortex, the part of your brain responsible for rational thinking. And making rational decisions is precisely what you need to do in a difficult conversation. Not only are you losing the ability to think clearly but chances are your counterpart notices the signs of stress — your face turning red, the pace of your speech speeding up — and, because of mirror neurons that cause us to “catch” the emotions of another person, your colleague is likely to start feeling the same way. Before you know it, the conversation has derailed and the conflict intensifies. Luckily, it’s possible to interrupt this physical response, manage your emotions, and clear the way for a productive discussion. There are several things you can do to keep your cool during a conversation or to calm yourself down if you’ve gotten worked up. Breathe. Simple mindfulness techniques can be your best friend in tense situations and none is more straightforward and accessible than using your breath. So when you start noticing yourself getting tense, try to focus on breathing. Notice the sensation of air coming in and out of your lungs. Feel it pass through your nostrils or down the back of your throat. This will take your attention off the physical signs of panic and keep you centered. Some mindfulness experts suggest counting your breath — either inhaling and exhaling for a count of 6, for example, or just counting each exhale until you get to 10 and then starting again. Focus on your body. Sitting still when you’re having a difficult conversation can make the emotions build up rather than dissipate. Experts say that standing up and walking around helps to activate the thinking part of your brain. If you and your counterpart are seated at a table, you may be hesitant to suddenly stand up. Fair enough. Instead, you might say, “I feel like I need to stretch some. Mind if I walk around a bit?” If that still doesn’t feel comfortable, you can do small physical things like crossing two fingers or placing your feet firmly on the ground and noticing what the floor feels like on the bottom of your shoes. Mindfulness experts call this “anchoring.” It can work in all kinds of stressful situations. For example, for a long time I was afraid of flying, but I found that counting while touching each of my fingers with my thumb helped to get me out of my rumination mode. Acknowledge and label your feelings. Another useful tactic comes from Susan David, author of Emotional Agility. When you’re feeling emotional, “the attention you give your thoughts and feelings crowds your mind; there’s no room to examine them,” she says. To distance yourself from the feeling, label it. “Call a thought a thought and an emotion an emotion,” says David. He is so wrong about that and it’s making me mad becomes I’m having the thought that my coworker is wrong, and I’m feeling anger. Labeling like this allows you to see your thoughts and feelings for what they are: “transient sources of data that may or may not prove helpful.” When you put that space between these emotions and you, it’s easier to let them go — and not bury them or let them explode. Keep in mind that you’re probably not the only one who’s upset. Your counterpart is likely to express anger or frustration too. While you may want to give them the above advice, no one wants to be told they need to breathe more deeply or take a break. So you may be in a situation where you just need to let the other person vent. That’s usually easier said than done though. It’s hard not to yell back when you’re being attacked, but that’s not going to help. Jeanne Brett, a professor of dispute resolution and negotiations at Kellogg School of Management, suggests visualizing your coworker’s words going over your shoulder, not hitting you in the chest. But don’t act aloof; it’s important to show that you’re listening. If you don’t feed your counterpart’s negative emotion with your own, it’s likely they will wind down. Let’s face it. Conflicts with coworkers can be tough. But you’re not going to solve the underlying issues or maintain a positive relationship if you barrel through the conversation when you’re completely worked up. Hopefully, these five tactics will help you move from angry and upset to cool as a cucumber.